Marla Burkhart's story dates back to 2009, when she underwent an emergency cesarean section at Mayo Clinic eight weeks before her due date. Before the surgery took place, doctors discovered that Marla had a condition called peripartum cardiomyopathy, a rare pregnancy-related heart condition that occurs in about 1 in 3,000 deliveries and causes inefficient blood circulation. Despite the complications, however, Marla delivered a healthy baby boy named Noah. Last year, Marla shared her story to encourage other women to make heart health a priority. She also became involved in Rochester's annual Go Red for Women event and spoke at last year's luncheon. But Marla wanted to do more to ensure that she was around to watch Noah grow and could be active alongside the now thriving kindergartner. 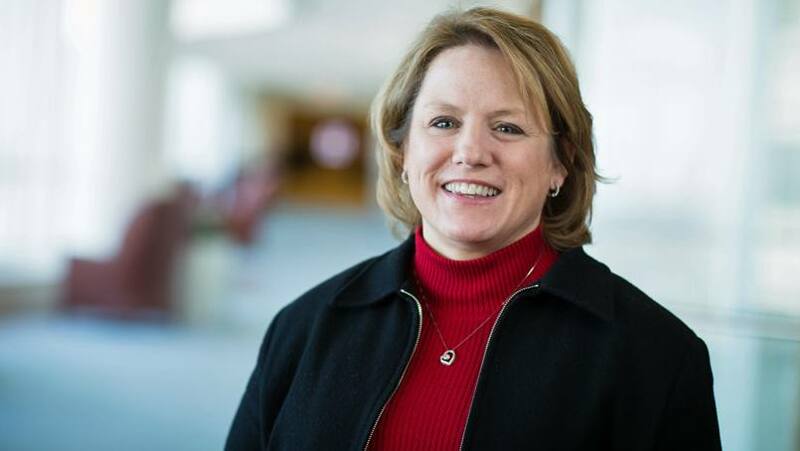 A couple years ago, Marla started seeing Lori Blauwet, M.D., a Mayo Clinic cardiologist. "She educated me about the long-term issues I may encounter as a result of my specific type of cardiomyopathy," says Marla, "issues I wasn't previously aware of." The advice she gave Marla is appropriate for anyone looking to maximize their health and live their best life. "I encouraged her to exercise on a regular basis and eat a heart-healthy diet," Dr. Blauwet says. That advice was pivotal for Marla. She began to explore which things in her life she could control to maximize her health, specifically her ability to lose weight and develop healthier eating habits. "Over the last two years, I've really made an effort to include protein along with the vegetables in my diet," says Marla, who has dropped over 100 pounds. She's also expanded her physical activity. "I've moved from just heading to the treadmill and the elliptical machine to lifting free weights." "Marla is a superstar," says Dr. Blauwet. "She has made a concerted effort to adopt a heart-healthy lifestyle with amazing results." While lifting weights and working out is now something Marla enjoys, keeping up with 6-year-old Noah is her favorite way to stay active. "He loves being outside," she says, "and we especially enjoy swimming together." Gardening has also become a regular part of their summer lives. "Noah loves being out there on his hands and knees pulling weeds with me and laying mulch. He's a wonderful kid." He's also Marla's motivation for continuing to improve her health. "I waited 40 years to have this special little boy in my life," she says, "and I want to make sure I'm around for the next 40." Marla also stayed on track by recognizing that life happens. "If I had an off day, the next day was a 'do over,'" she says. "It's easy to fall off the wagon, but it's just as easy to jump back on. At the end of the day, I control how much I move and what I eat." "There are a few heart diseases that are more common in women, such as small vessel disease and coronary vasospasm, and some that occur exclusively in women, like peripartum cardiomyopathy," says Dr. Blauwet. "These heart diseases are not as well known among physicians and the general public as the typical heart diseases that affect both sexes, frequently resulting in misdiagnosis and/or delayed treatment which affects outcomes." Marla's personal experiences drove her to become an advocate for women's heart health. "I read a lot of pregnancy books and had never even heard of peripartum cardiomyopathy," she says, "so I want to raise awareness." Both Dr. Blauwet and Marla agree that lifestyle changes – even small ones – can have big results. "Eat a heart-healthy diet, exercise on a regular basis," says Dr. Blauwet, "and do something just for you every day to honor your beauty and goodness within."